Yet another new blog, this time it's a personal blog about...well everything and anything really. You can find it here: Project X Why not come by and say hello? My head has been hurting of late. As well as continuing to plug away at WPF, doing fun stuff like creating optimised vector graphics editors and custom controls, I am having to develop in XNA and Silverlight for Windows Phone 7, Objective-C and Cocoa for iPhone and somehow find room to at least keep abreast of Android and Java. Ouch! It strikes me there are just too many devices, platforms and API's out there. Luckily I have some great people working with me and I can at least leave HTML5 and Android alone...for now. In other news, DiceBox RPG has been doing really well. 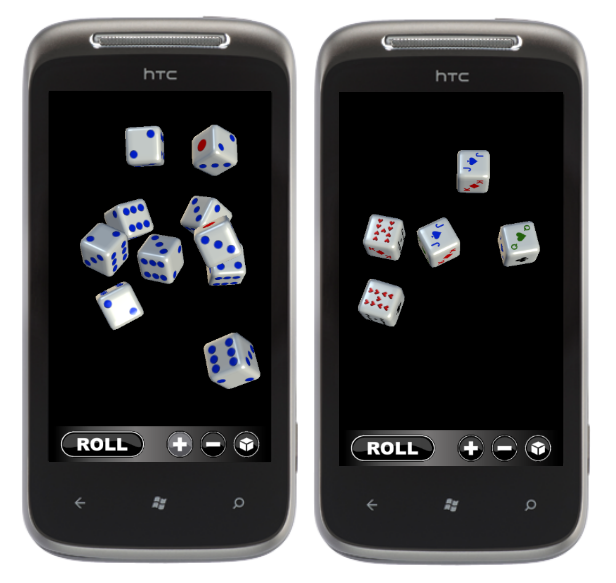 Its just a shame we can't make it's counterpart (DiceBox) free on the app store. If Microsoft would only get its act in gear and let its developers in the UK ad support their apps... Oh well, sure we wont have to wait too much longer. Anyhow. I now find myself well and truly in the mobile arena and I'm not sure how much longer this blog has left in it. I guess you never know, I may well end up doing some GIS stuff again at some point but, outside of mobile, that is looking increasingly unlikely. After spending some time trawling the web and failing to find the style I was after, I decided to sit down and put one together myself. A couple of hours later, and with a bit of help from Snoop, this is what I came up with; It’s a style for a tab control and, in-particular, a tab item, that goes some way to looking and feeling like the one used by Expression Blend. The tabs are prevented from rearranging themselves into multiple lines by swapping out the TabPanel with a StackPanel. Data="M6.5,2.6C4.767,0.973 2.509,0 0,0 0,0 0,19 0,19L23,19z"
DiceBox seems to be doing pretty well, at least according to the stats coming in from AppHub. The site should be slowly evolving over the following weeks and months, so be sure to keep an eye out. Recently a couple of friends and myself have been playing around with the Windows Phone 7 developer tools. Currently there are 6 kinds of dice texture, realistic physics and sound, a total score display and a "shake to roll" feature. It was nice to see that sussing out how to use those spatial indexes in SpatiaLite was not in vein. A post on bill dollins site prompted me to take a look at the recent changes to the SharpMap trunk, which now includes bills excellent SpatiaLite data provider complete with spatial index support. The WPF ListBox control can be used to create a wide variety of user interface elements thanks to templates and styling. However, recently it left me out in the cold...for a while at least. We had an existing control, based on a heavily styled ListBox, that contained a bunch or items that could be considered as rows in a table. It all worked fine until some bright spark had the idea of adding column headers. Now, at this point you may be thinking that ListBox is not the ideal candidate here. ListView, with its GridView layout, is the control to use if you want to layout column based data with column headers. Right? We went with option two. The pain began. The basic problem is that the header needs to be part of the ListBox so that when the ListBox is scrolled horizontally, the header scrolls too. However, when you scroll it Vertically you want the header to remain visible and not scroll with the rest of the list. I started by looking at the style of the ListView control which does something similar to what i wanted to achieve. This gave me a big clue. The ListView uses a custom ScrollViewer that has a child scrollviewer nested inside. 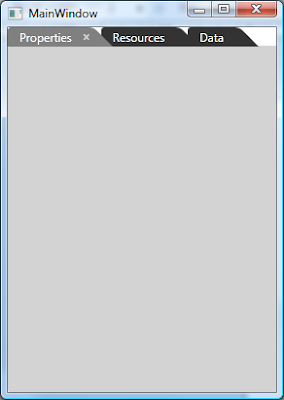 This child ScrollViewer contains the header; The scrollbars on the child ScrollViewer are always hidden. Magic. Having updated it so that it did compile, there were several problems with the scrolling resulting in unsatisfactory placement of the vertical scrollbar (not consistent with ListView) and errors causing the content to slide past the header at the extreme right. Nevertheless, it gave me a lot of ideas, In-fact the example is based on a lot of the same XAML. Next, I need to work out how to make the header scroll horizontally when the list box is scrolled horizontally. Unfortunately there is no easy way to do this. Ideally you would bind the HorizontalOffset of the header ScrollViewer to that of the main one. However, this is not possible thanks to its read only nature. To overcome this I used an attached behaviour to achieve the same goal by making use of the ScrollToHorizontalOffset method.